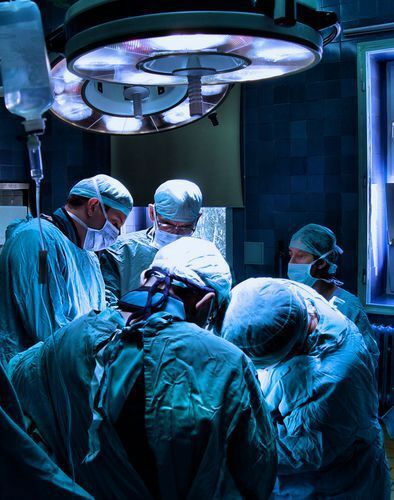 Surgical Items are Left Behind in the Body Leaving surgical items in the body is a form of medical malpractice and can lead to a claim against the surgeon and possibly the surgery center or hospital. Local news channels don’t report on surgical errors in the context of Florida medical malpractice stories unless they end up as fatalities. Since the surgical error happens at the hospital, and the patient needs to go back to the hospital to have it remedied, there doesn’t seem much cause to enlist a medical malpractice attorney. But surgical errors, or “safety events” as they are called by the medical industry, happen much more often than admitted and these turn into Florida medical malpractice claims. Florida medical malpractice covers any instance when a health care provider neglects or omits doing something that would be considered an accepted standard of practice in the medical community, and that injures or kills a patient. According to a survey conducted by the Institute of Medicine (IOM), 45,000 to 98,000 people suffer surgical errors every year. These can be filed as Florida medical malpractice claims. Unfortunately, there are many ways a doctor can mishandle a surgery. not properly monitoring their patients before, during or after surgery. These are just the basic types of surgical errors, there are subdivisions within each, as well. For example, when a surgeon operates on the wrong body part they could do something as small as incise the wrong finger or could go as far as removing the wrong breast in a mastectomy when operating for breast cancer. What Happens After You Suffer a Surgical Error? Surgical errors can unfortunately cause serious if not permanent injuries. You are probably feeling angry and disillusioned with the medical industry after being injured by the very people who were supposed to heal you. Besides the physical ramifications, the monetary consequences can also be traumatic. The cost of just one hospital stay is very high and expensive return visits to remedy injuries you didn’t have to begin with is simply unacceptable. Statutes of limitations for these types of cases can be short so confer with an experienced medical malpractice attorney soon. Surgical errors are often linked to overworked health care providers and an overtaxed health care system. None of these reasons are your fault or your responsibility. After your medical malpractice attorney finishes with your claim, you will still need to use health insurance. More and more health care providers are comparing the rate of Florida medical malpractice claims between hospitals and care centers in order to offer you the safest and most cost-effective insurance. If you or a loved one have experienced any of the above surgical errors, contact us online or call us directly at 888.815.6398. We are happy to schedule your free consultation with an attorney who will evaluate your claim and give you straight forward advice. Depending on the circumstances of your claim, we may co-counsel your case with another medical malpractice attorney.